Many a time, most of you tend to forget about the condition of your windows in either your home or office. This is something that we have seen and observed and we have seen that our customers’ engage us for either commercial window cleaning perth or domestic cleaning or even carpet cleaning, but window cleaning is not something that they really pay attention. And NCCS wants all our customers’ to give a thought to their windows too. And this can be done by carrying out periodic and effective window cleaning by cleaning service experts like us. By cleaning your home or office interior or exterior on a regular basis and the windows are not cleaned will definitely be a sore sight and the cleaning will not be complete and well-rounded. Windows tend to get dirty, soiled and streaked very fast. So, it is imperative that you got regular window cleaning undertaken by window cleaners who know how to operate and carry out the window cleaning. Our cleaners use the latest window cleaning equipment and other paraphernalia and are also equipped to carry out high-rise window cleaning and we also clean windows in homes and residences. 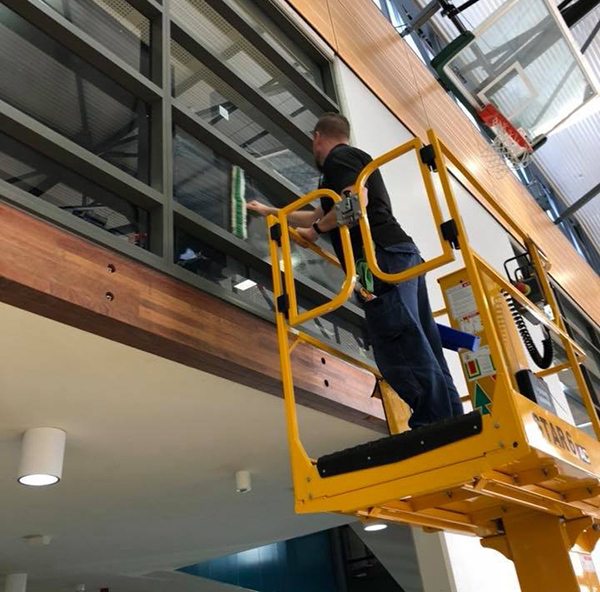 If you want to engage our window cleaners for window cleaning, contact NCCS on 0425 611 000 or email us at elsie@nccleaningservices.com.au or dave@nccleaningservices.com.au.